Looking for a beautiful birthday gift for that special dentist in your life? 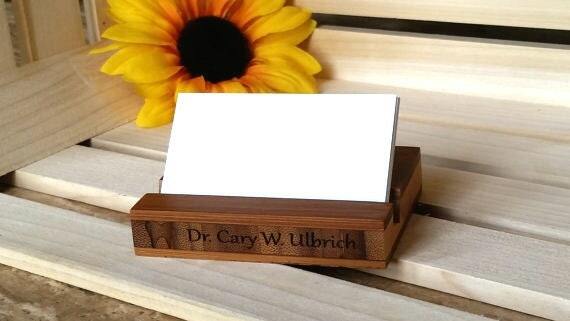 This beautifully crafted bamboo business card holder custom engraved with his or her name or your choice of words or business name will make the perfect gift for any special occasion. 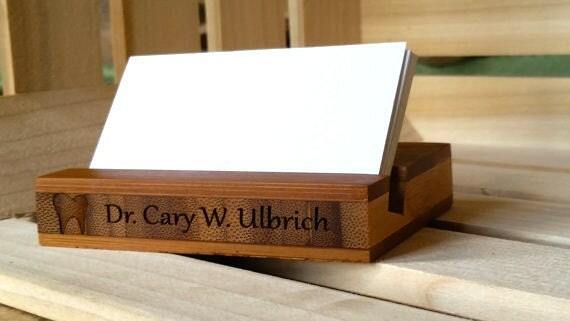 Size: 4 inch wide x 3 inch deep x 3/4 inch thick with 1/2 slanted slot for cards.